Have you seen the stars lately? If you live in an urban environment seeing the night sky is becoming more challenging. With the right lighting choices, you can help this change — for the better. The Dark-Sky movement, led by the International Dark-Sky Association (IDA), has been working to mitigate the damage caused by light pollution. Communities and local governments have been taking notice, and as a result, are passing ordinances that balance the needs of the community with those of the environment. Here are three ways to implement dark sky lighting into your outdoor lighting plan. 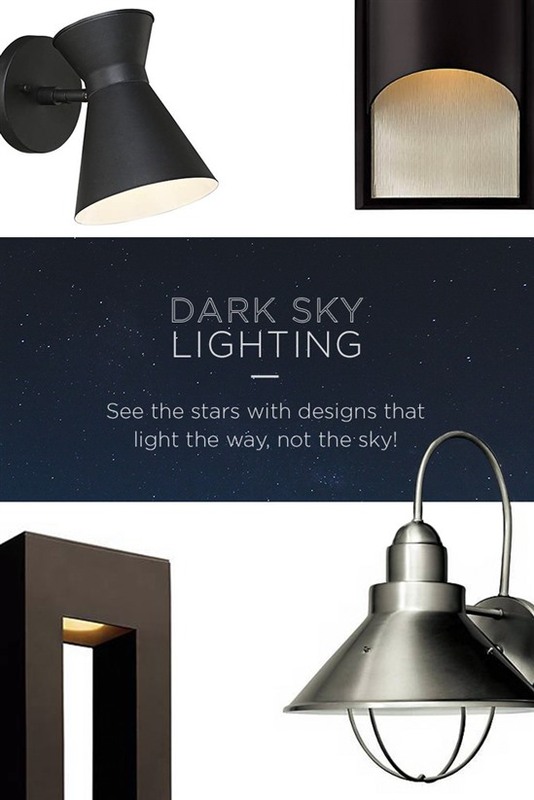 Dark Sky lighting solution 1 is about style. 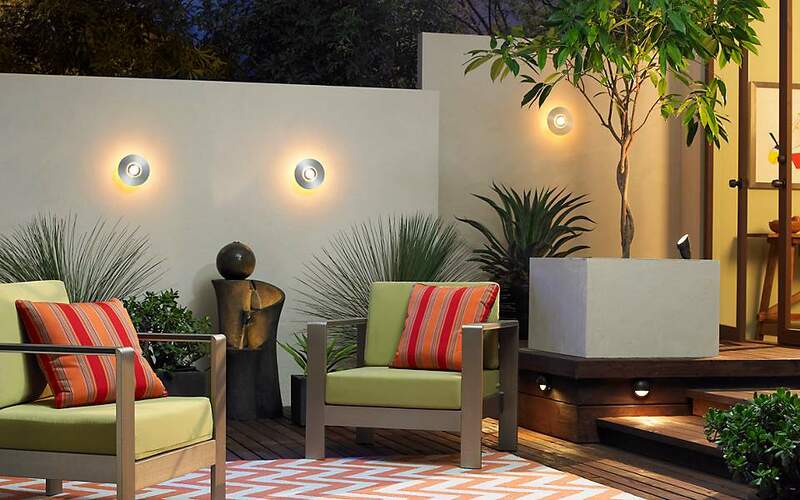 When selecting Dark Sky outdoor lighting fixtures, make sure that the design is pointing the light toward the ground, or the style has a shield that focus the light downward. This cuts down on the light pollution shining up, minimizes glare, and helps provide better vision in the dark areas. 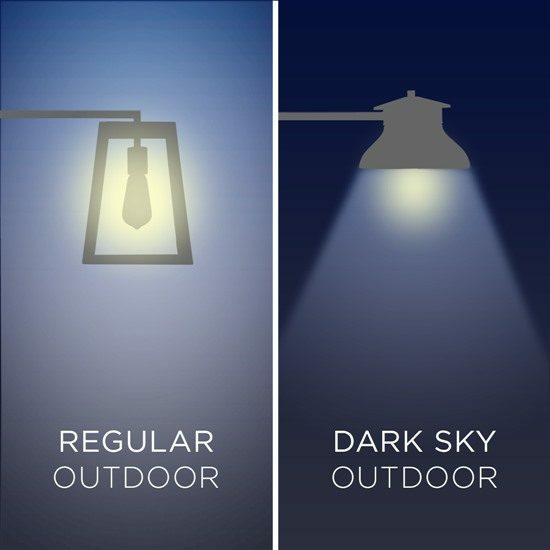 Dark Sky lighting solution 2 is FREE. Try concentrating your outdoor lighting to a few key strategic locations. Dark Sky lighting solution 3: Choose Light Emitting Diodes (LEDs) lighting, they are energy efficient and helping cut down on energy waste. 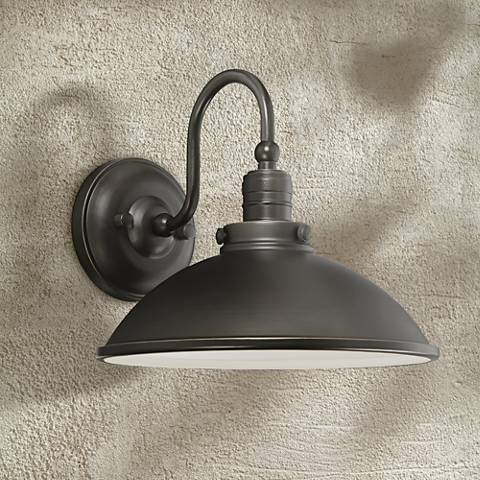 Consider an energy-efficient LED model instead of regular incandescent lighting. For more illuminating information on the Dark Sky Movement check-out our 2 part interview with the IDA.